It’s no secret that Britain’s colonisation of Van Diemen’s Land in the early nineteenth century meant upheaval, violence and great suffering for Tasmania’s Aboriginal peoples. But new, ground-breaking research by historian and author Nick Brodie shows that the Black War or Vandemonian War was no small-scale, localised conflict waged by farmers and hunters, but a sweeping campaign of military and paramilitary forces orchestrated by the command-and-control structure of the colonial government. What’s more, these authorities covered up the genocide they’d committed — and, for nearly two centuries, got away with it. Here, Nick Brodie tells Sarah Trevor about what the research behind his new book The Vandemonian War uncovered about this tragic part of our history. IH: What originally drew you to researching and writing about this dark chapter in our history? Nick: It was the challenge. I got interested in bringing my training in medieval history to bear on Australian sources and problems, and this is a hotly contested area of Australia’s history. It’s also a part of our national story that is known of, but not known well, and I wanted to help change that. IH: Originally you had a smaller book planned — what was this and what made you decide to expand it into The Vandemonian War instead? Nick: I’d planned to focus on a single relatively over-looked file about the so-called ‘roving parties’ sent to capture Aboriginal people in the midlands. But, habitually thinking about the bigger picture, I wanted to properly understand that source in a wider context, and soon found much, much more than I expected. Once I discovered that there were dozens of unused files, and thousands of manuscript pages, I could see that the whole story needed to be re-told from the ground up. IH: Traditionally there’s been much debate among historians and even the UN as to whether or not the conflict in Tasmania constituted a genocide. What’s your view on this? Nick: Australian historians who have veered away from accepting that the British perpetrated a genocide in Van Diemen’s Land have argued their case from a perusal of limited sources. Their evidence was essentially a select sample of documents originally designed to give an impression that the British were restrained and humane in their policies. I’ve seen far more of the operational details, and hold quite a different view, supported by a much more exhaustive survey of the archives. I would say this is a textbook genocide involving forced removals, sanctioned killings, and deliberate dissimulation. To say otherwise now would be to ignore the evidence and regurgitate wartime propaganda. IH: Could you tell us a bit about Lieutenant Governor George Arthur? What’s your impression of his role in what unfolded? Nick: The key things to keep in mind are firstly, that Colonel George Arthur was a career soldier and politician in an age of imperial expansion, and secondly, that in Van Diemen’s Land he held the twin roles of Lieutenant Governor and Colonel Commanding. Arthur effectively controlled civil governance and military power, and used both to prosecute the Vandemonian War. I think it is fair to say that his reputation as a humanitarian is rather anachronistic at best. IH: What’s one thing you wish all Australians knew about this tragic conflict? Nick: The British army was extensively involved. I think we need to shift towards seeing our past domestic conflicts as genuine colonial wars and drop the conditional adjective ‘frontier’. And we need to approach them with the nuance we do most other conflicts. There were political considerations, shifting alliances, various combatants, numerous campaigns, and deliberate strategies. It wasn’t just the vague ‘race war’ of popular misunderstanding or some sort of dispossession by settlement. IH: What were some of the challenges you faced in researching and writing the book? Nick: The wealth of evidence was the biggest problem. Gathering, synthesising, and analysing all of the new evidence was a considerable commitment of time, even with the aid of digital technology. Turning all of this into an accessible narrative format was also a difficult and delicate task. It sounds ludicrous, but I really was writing a whole colonial war largely from scratch. IH: I imagine you would have read some very harrowing stories in the course of researching The Vandemonian War, but were there any that in particular really struck you/took you by surprise? Nick: Oh yes, too many to count. I’ve certainly read my share of violent encounters, but it isn’t the nature or numbers of encounters or casualties that is really the main thing. What got to me most were the government orders. Reading the Lieutenant Governor tell John Batman (later a founding father of Melbourne) that he may breach the line of martial law in pursuit of Aborigines gives you chills. Such moments reveal core truths long hidden behind public lies. It felt a bit like finding the colonial equivalent of the Watergate tapes. IH: Which resources did you find most helpful in the course of your research? 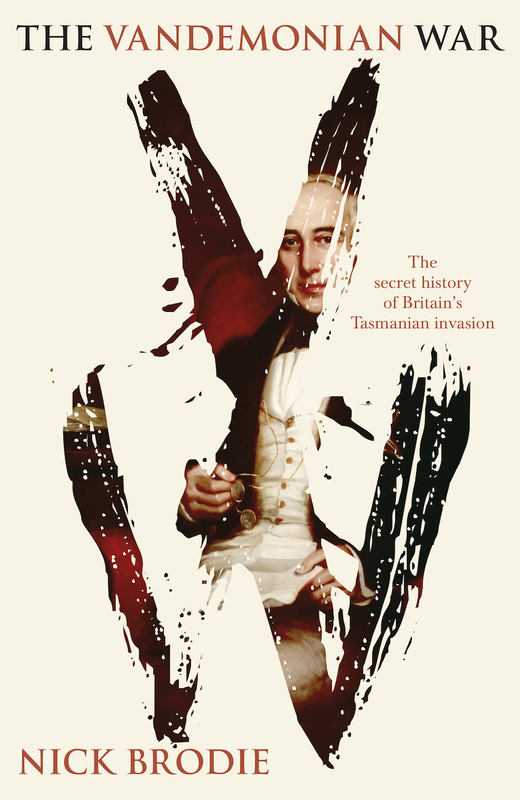 Nick: Various manuscript files held by the Tasmanian Archive and Heritage Office formed the main untapped evidence, particularly those originally part of the Colonial Secretary’s Office. But I also found the digitised colonial newspapers available online through the National Library of Australia’s Trove enabled me to fill in some blanks and match the public journalistic record with the more private government one. IH: What would your top tips be for researchers who want to explore the Colonial Office inbound and outbound correspondence and other primary sources of this era? Nick: Think about what the records were created for, how they were used during and after creation, how they were archived, how complete they appear, and only then worry about relating the stories they might contain. This is true of every historical period and place and is part of that medieval methodological outlook I mentioned earlier where the dearth of evidence places greater demand on the analysis of it. Australian histories often seem to re-tell the same stories simply because people keep going back to the same sources with the same questions. If we break that habit we’ll be on an unstoppable historical roll. IH: If you could track down one thing you haven’t yet managed to find out, what would it be? Nick: Oh, there’s too much more I’d like to find to pick just one! I think the bigger question now becomes, if we got the Tasmanian story so wrong for so long, what might we have we missed in the other colonies?